With much speculation surrounding whether the commercial up-take of drone delivery would ever hit the skies, it looks like we can now stop wondering. Drone technology company Flytrex, in partnership with AHA, Iceland’s largest online marketplace, is launching the world’s first operational on-demand urban drone delivery service. 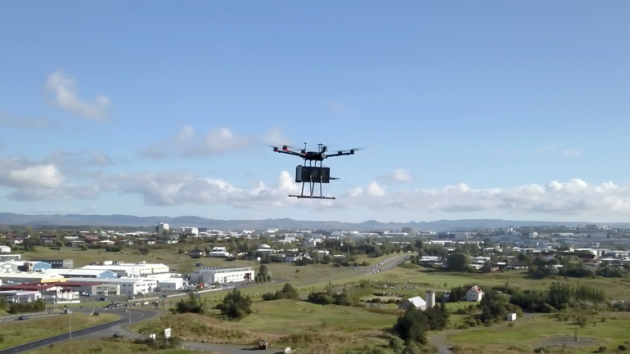 The first of its kind drone delivery system aims to upgrade efficiency in food and consumer goods delivery industry in Iceland’s coastal city of Reykjavik– slashing delivery times, reducing energy consumption and streamlining delivery logistics. Following a meticulous regulatory process with the Icelandic Transport Authority (Icetra), Flytrex and AHA received approval to implement their autonomous drone system to deliver food and consumer products from shops and restaurants on one side of Reykjavík to a designated point across the city.